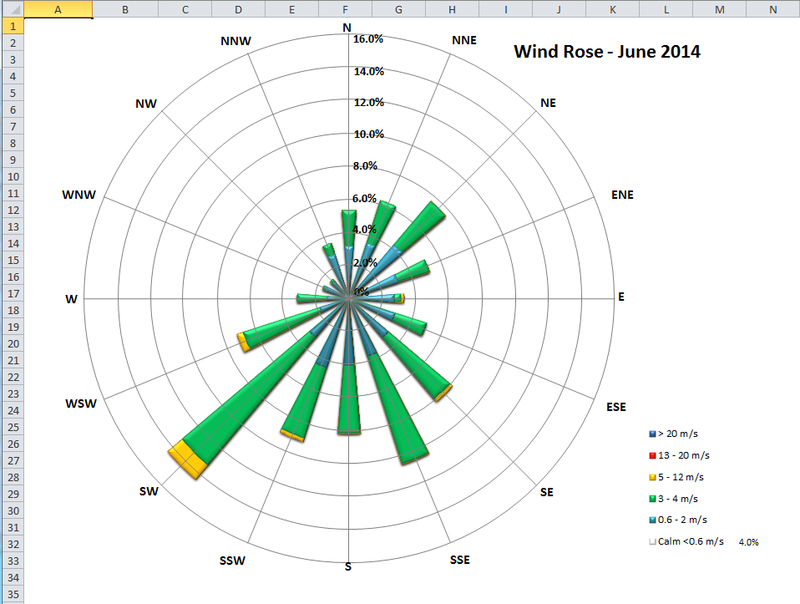 IMA Wind Rose is a full-featured Microsoft Excel application designed for creating wind and pollution roses, creating graphic representations of how the wind direction and wind speed or concentration are distributed over a period of time. 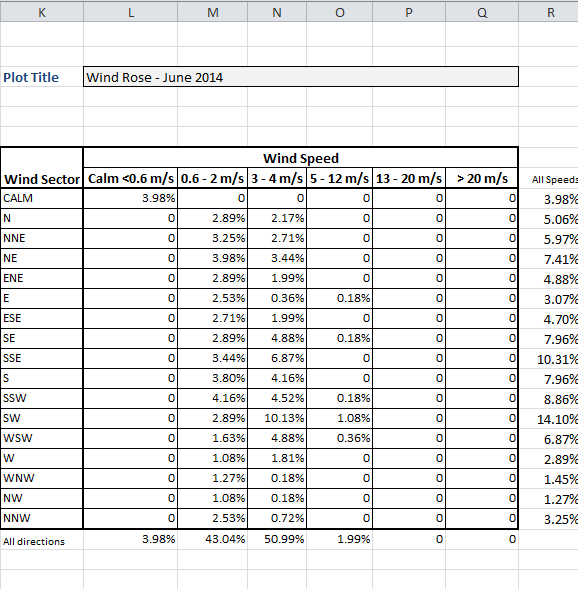 IMA Wind Rose provides a step by step approach to for generating a wind rose, importing, filtering, creating a frequency matrix, and a final wind rose chart. Data can be imported from Excel spreadsheet, ACII (text files) and relational databases. Chart titles and legends are entered as part the setup process. The final wind rose chart is automatically scaled so that the maximum total frequency in any one direction does not exceed the chart area. Because IMA Wind Rose is an Excel application created wind rose charts can be printed, inserted in to MS Word or exported to pdf, jpg or other file formats. Charts can be customized by adding titles, logos, legends and notes and data can be easily filtered to consider data for specified hours, days of the week, month or a selected date interval. IMA Wind Rose is licensed at $199 (USD) per user. Academic discounts, site and organizational licensing options are also available. Contact Information Management and Analysis LLC for additional details at information@imascientific.com.